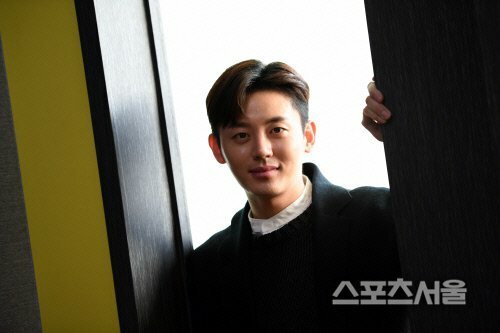 [Interview] Lee Ji-hoon-I, "I won't put my name to shame", "I want to be an actor that enjoys acting"
"I won't put my name to shame and be an actor that enjoys acting"
This actor from the latest SBS drama "The Legend of the Blue Sea", played the bad guy Heo Chi-hoon who darkens with the matters of inheritance and secret of birth. He is Heo Joon-jae's (Lee Min-ho) step-brother and the person responsible for the Mermaid (Jun Ji-hyun) and Dam Ryeong's (Lee Min-ho) death in the past life. Lee Ji-hoon-I completed his National Service and debuted in 2012 with the KBS 2TV drama "School 2013". He then starred in "Six Flying Dragons", "Mirror of the Witch" and "Go-ho's Starry Night". "While filming "The Legend of the Blue Sea", I wondered if I could kill myself in the end; it was actually very meaningful and I won't ever forget it, especially Chi-heon's last words. He lost everything at once and if I think about myself in that situation, I think people can change at once". At the beginning, Chi-heon seems like a nice guy. To seem nicer, he gained some weight in the beginning of the drama and later started to lose some. "Chi-heon works hard to please his mother and father before things start to change. I didn't think he should look poor and weak so I started working out and started a healthy diet. I ate two meals a day instead of five. By the eighteenth episode I ate only one meal a day. I was about 74 kilograms, but I lost up to 67.5kg. Not eating midnight snacks was the hardest part (laughs)". Heo Chi-heon shows interest in Sim Cheong (Jun Ji-hyun) in "The Legend of the Blue Sea". He walks the mall with her and eats with her, hinting a slight chance of romance. He says, "I thought there would be something between us and so did people who wrote comments on the drama page. I asked the writer if this would become a three-way romance situation and she said that she would decide according to the flow [of the drama] and that I should act open to all potential outcomes. I had some hope, but it fell through so I was disappointed. People told me I seemed really shy in the drama. In the scene where I walk with Jun Ji-hyun in the shopping mall was weird but nice". He impressed everyone with his performance in "The Legend of the Blue Sea" and he feels confident and responsible at the same time. "I have earned so much by working with such amazing people such as the director, the writer, my mother Hwang Shin-hye, my father Choi Jeong-woo and more. I felt relieved every time I finished something in the past, but this time I feel more responsible. I want to do better in the future". Lee Ji-hoon-I is his real name and he has stories to tell which involves stars with the same name. He is close friends with the musical actor Lee Ji-hoon and he even got calls for musicals thinking he was the 'other' Lee Ji-hoon. "I want to be in musicals like him. I felt something watching his show and I saw how 'beautifully' he dances because of the effort he puts in himself. I watched "La La Land" recently and decided I want to learn the piano and learn how to tap dance". In the past, Lee Ji-hoon-I was researching interview articles and came across Lee Ji-hoon-I's interview in which he mentioned him. He was touched. He called and told him so and that he wouldn't put shame to their names. 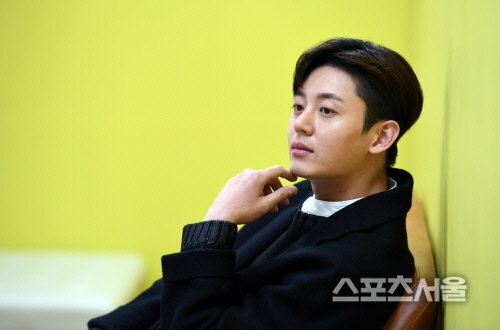 Lee Ji-hoon-I said, "I want to be an actor anyone can depend on. I am playful and it's in my blood, but I want to enjoy acting and be called 'an actor' instead of 'a star'. "[Interview] Lee Ji-hoon-I, "I won't put my name to shame", "I want to be an actor that enjoys acting""